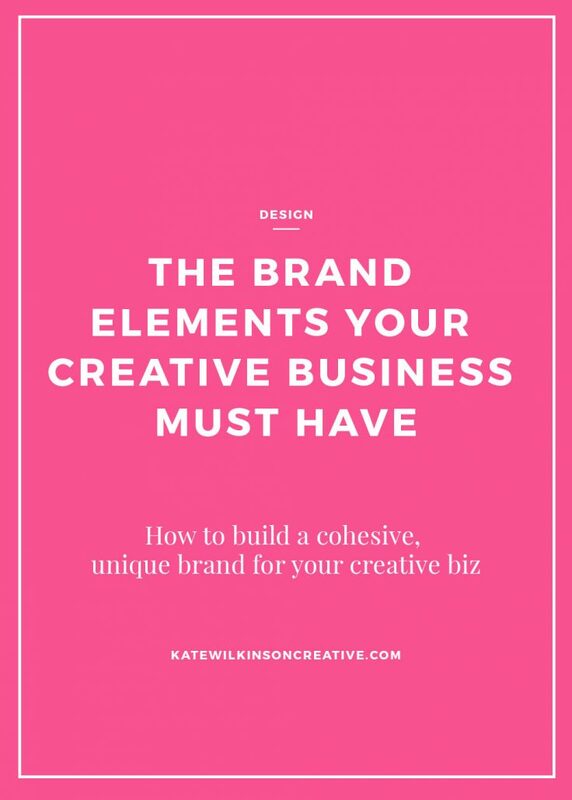 Creating a strong, unique brand for your creative business is the number one (yes, number uno) important factor in establishing yourself. Whether your business has been around for some time or it’s brand spankin’ new, you need to create a brand that visually resonates with your customers. Establishing a solid, consistent brand from the get-go will make all of your visual communication (from your website graphics, to your online store, to your ebook, to your promotional material and everything else) a whole lot easier to create in the future, plus it’ll make your brand more identifiable. Also known as a brand mark, this is a word or symbol (or both!) that represents your brand. Your logo style will determine the design and tone of all of your remaining brand elements, so it should reflect your company’s tone and purpose. Hint: when creating your new brand, try to separate yourself from the design as much as possible. Remember, the brand needs to speak to your target audience first. Your brand should be supported by a color palette of 2 to 4 hues, plus a black or dark gray which will act as your font color on your website. It’s important to stick to these colors when designing marketing material in the future. Yes, it’s tempting to veer away (especially after you’ve been using the same colors for a couple of years), but it’s incredibly important to stay on-brand. These days it’s quite common to also include a pattern (such as a stripe or spot) or a texture as a brand element. These may come into play when designing your Pinterest graphics, web banners, Instagram tiles, or even be included in your business card design. Graphics such as these can be as bold or as subtle as you like. An Accent Font: this is a complimentary font to your heading font, however as a rule of thumb it’s used spangly. Body Font: this is what the body copy for you your e-book, website, etc will be in. Using more than 3 fonts across your designs becomes visually confusing for your audience as the elements start to conflict, not work together. Serif Font: Serif fonts have little lines or strokes attached to the end points of the letters. A great example is the Times New Roman font. Sans-Serif: A Sans Serif font is simply a font without the “serif” (or strokes). These fonts have a clean, modern look. Script Font: A Script font is a cursive style. Many of you will be familiar with the very on-trend brushstroke and handwritten styles. These styles add a playfulness and friendliness to your brand. Be careful though– most script fonts don’t work in uppercase, and are better off left in lowercase type. Display fonts: These are decorative fonts and are generally only used for logos or headlines. My brand, Tell Me Tuesday uses 2 serif fonts (for the Header and Body Copy) and one script which I use sparingly. 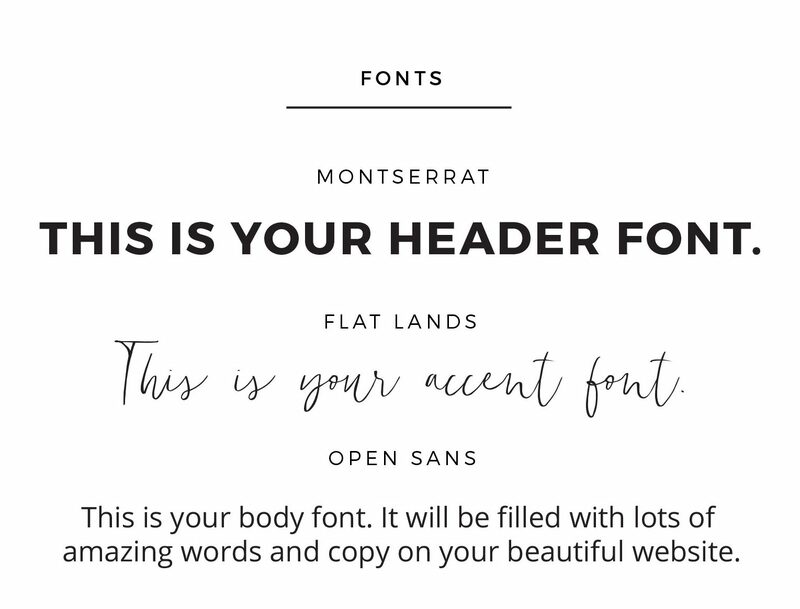 There are endless combinations of these fonts that can work for your brand, so have a play around. This logo follows the same style as your primary logo, however it’s used when there is limited space (i.e. your logo on a promotional pen), or if it is being embroidered (say, on a t-shirt or cap). To maintain consistency within your brand, you may want to consider defining how you treat your photographs, whether they be your blog images or social media snaps. We all know that one of the keys to gaining fans on Instagram is to have a consistent, cohesive feed, and defining your photo treatment is the key to achieving this. Remember, your imagery needs to fit with your brand, just like every other element, so think about your target audience and your values, and how this translates visually. Is your style bohemian, natural, environmental or rustic? Then consider warm, golden tones when filtering your snaps. Is your business innovative, cutting edge and technology based? Sharp, bright, light images will help portray this. Pulling all of your design elements into social banners and graphics can be a little daunting initially. Ask your designer to create some editable templates for your profile’s banners, plus quotes and tips that you’ll share on social media. Once you’ve defined your brand’s visual identity, compile all of the elects into a Style Guide. This is a one-page, one-stop-shop where your colors, fonts and other branding elements are laid out. Then, it’s time to start implementing your new style! 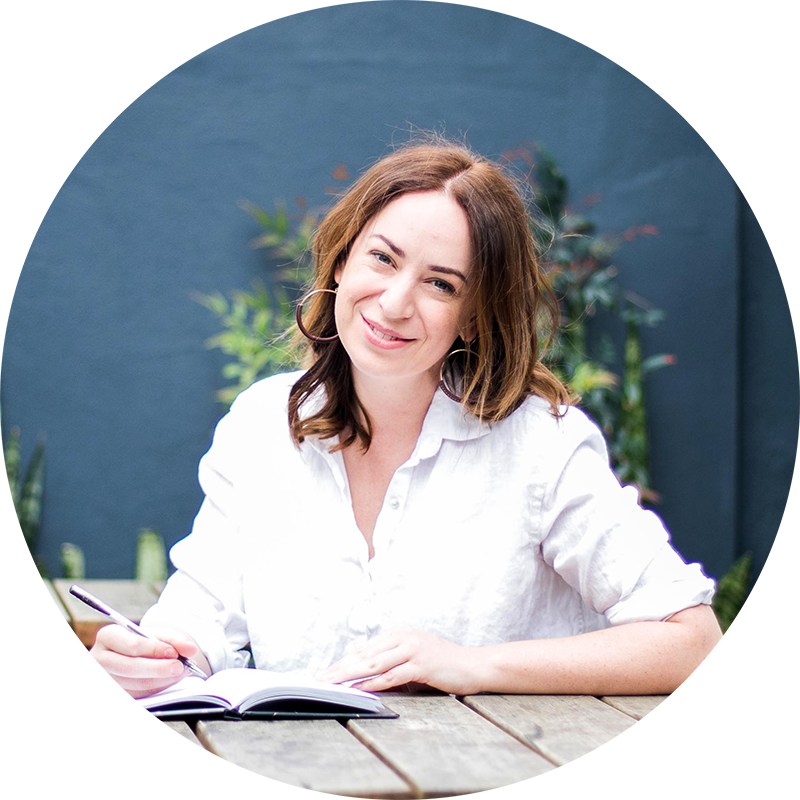 Thank you for the awesome tips Kate – very useful. And lovely blog you have. Nice to connect with you. I’m also in the Insta group! Hey girl! Thanks for stopping by! Your blog photos are so divine!